Centrally located between Wilmington and Philadelphia, Castlebrook Apartments provide a short commute wherever you want or need to go. Situated in New Castle County at the 13/40 Split and near I-95 and Routes 1, 141 and 273, employees and students alike will enjoy the ideal convenience of our apartments near Wilmington University. Starting with a charter class of 194 in 1968, Wilmington University now enrolls approximately 20,000 students each year. It offers both undergraduate and graduate degree programs in the arts and sciences, business, education, health professions, social and behavioral sciences, and technology. The university also offers day, evening, and weekend classes to accommodate traditional high school graduates as well as non-traditional adult students who need a more flexible schedule. In 2005, the university introduced fusion programs that combine online and in-person learning for students looking to fast track their degree. With a seven-minute driving commute to campus, Castlebrook Apartments is conveniently located just 19 minutes from downtown Wilmington as well as near local shopping, dining, and entertainment destinations. Our residents also have immediate access to a DART Bus Lines 25 and 47 near our premises for public transportation within Delaware. Experience comfort and convenience on Castlebrook Apartments’ beautifully maintained 34 acres with on-site amenities, such as laundry facilities, a swimming pool and sun deck, a fitness center, eat-in kitchens, and 24-hour emergency maintenance. 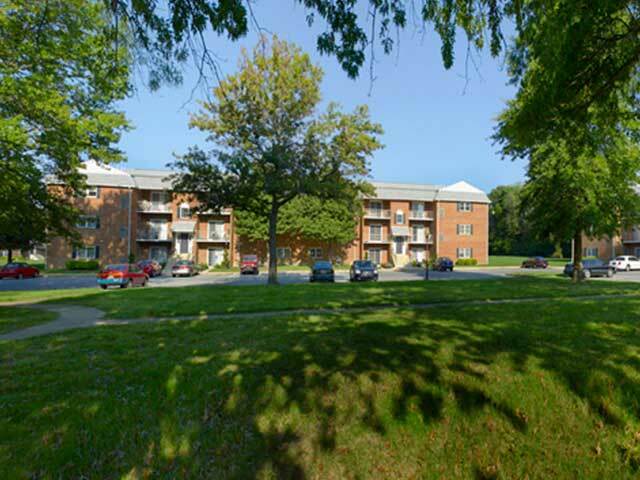 Let us show you around our apartments near Wilmington University. Call Castlebrook Apartments at 215-886-2000 or contact us online to schedule a tour.